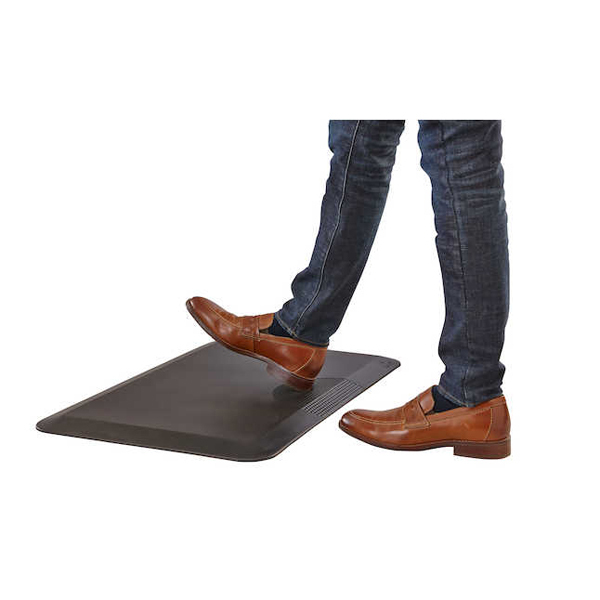 Reduces Fatigue - An anti-fatigue mat can significantly reduce fatigue when standing by providing a flexible surface that encourages the user to continually flex the joints and muscles of the feet and lower legs. This can lead to an increase in overall energy levels and greater productivity. Reduces Risk of Lower Limb Issues - Extended standing on hard surfaces can result in damage to the joints of the lower limbs and can increase the potential for swelling (edema) as blood pools in the legs. 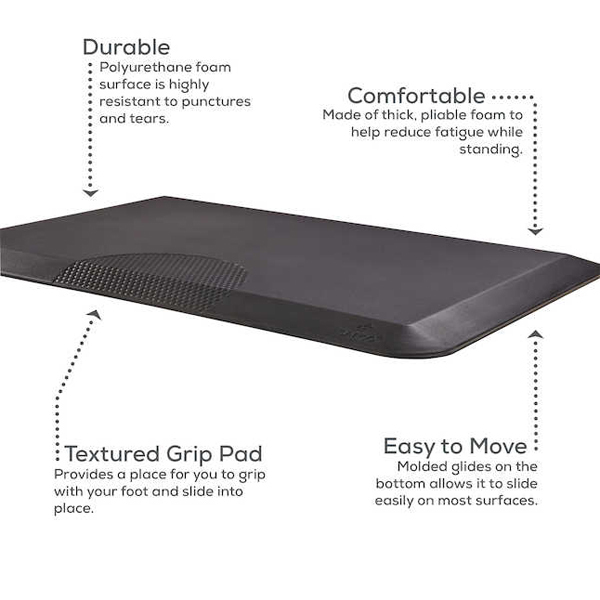 A cushioned surface reduces these risks by reducing the impact on joints and encouraging ongoing small muscle contractions that help to move blood back out of the legs. 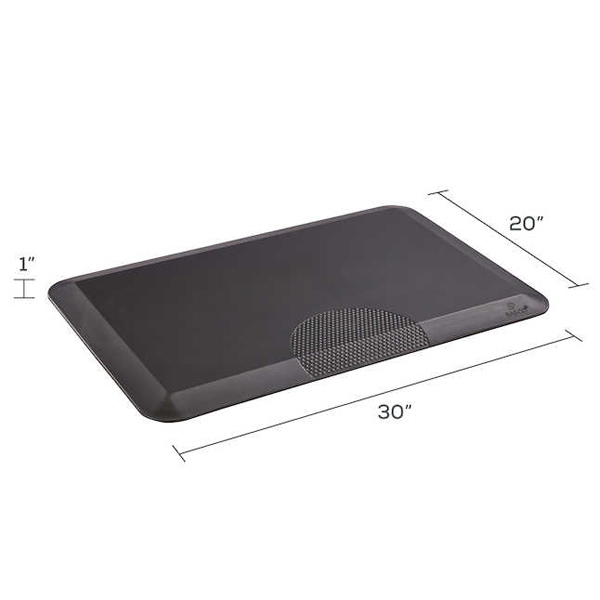 Increases Standing Time - Because the Movable Anti-Fatigue mat can easily be shifted back and forth without bending or reaching below a desk users will tend to more readily switch between sitting and standing. 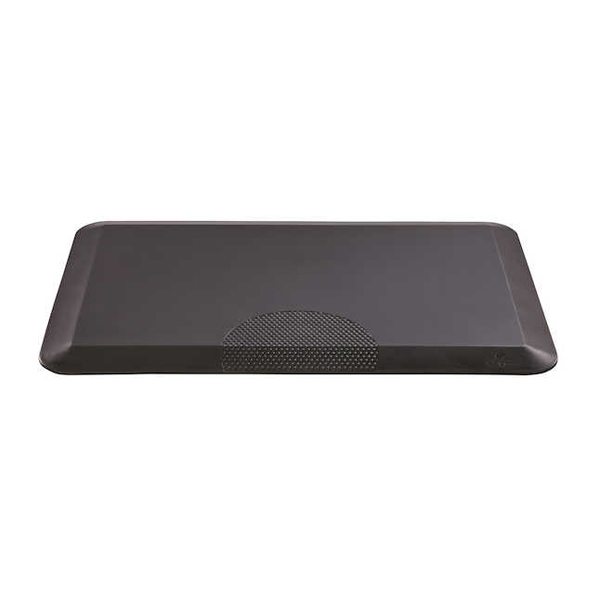 Reduces Risk of Back Injury - Since users no longer have to bend down or reach under their desk to store or retrieve their anti-fatigue mat there is no risk of back injuries being incurred or aggravated. 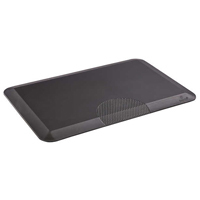 Movable: The traction point on the mat enables users to store or retrieve their anti-fatigue mat without risk of injury. Sliding the Mat Out of the Way: Step off the mat and place the heel of one foot directly on top of the textured area. Press down and slide the mat out of the way with the foot. Note: Do not press down with too much weight or the mat will not move. Retrieving the Mat: Place the heel of one foot directly on top of the textured area. Press down and draw the mat towards you. Maintaining the Surface of the Mat: Stiletto heels are not recommended as these may damage the surface of the mat. As well, the movement of the mat could lead to instability.